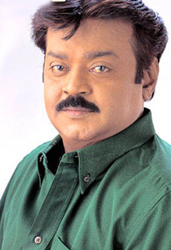 Vijayakanth has quickly finished work on home production, Sudesi because of the delay in the release of Perarasu. While he has decided to plunge in politics, he has announced an important decision. Henceforth, he will not act in other banners and produce his films himself. He will make socially meaningful films.